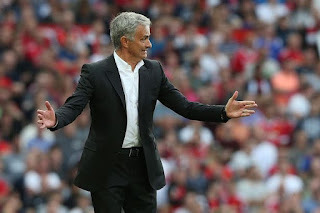 Jose Mourinho has demanded more consistency from his Manchester United side, despite their 4-0 win over Crystal Palace in the Premier League on Saturday. Marouane Fellaini scored twice, while Juan Mata and Romelu Lukaku also got on the scoresheet, as the Red Devils ran riot at Old Trafford. It wastheir fourth 4-0 triumph of the campaign, but Mourinho was left disappointed by elements of his side’s display. “Three points were very important,” Mourinho told Sky Sports. “I told the players we had to respect and play seriously against an opponent in a difficult situation but are better than the results are saying. “Probably the result is bigger than our performance because I don’t think our performance was consistent. We had good periods, good moments, always control of the game.